Wow! It is bucketing down today! Sydney is awash with grey clouds. Master 3 and I attended playgroup with a great rendition of the hokey pokey. 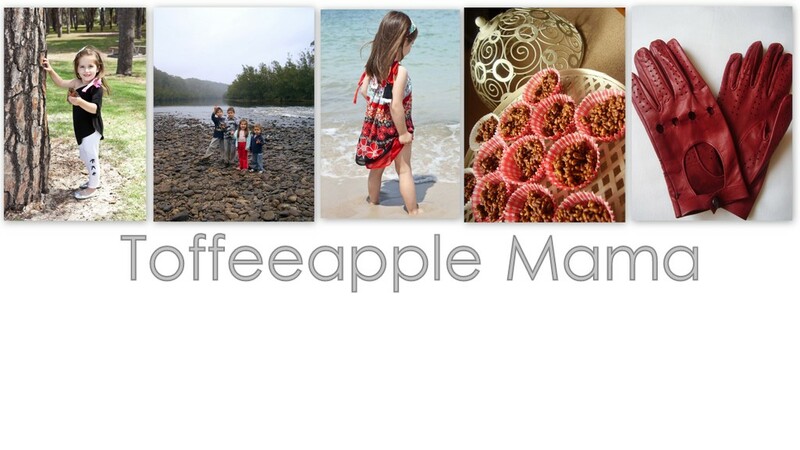 I decided to start a blog to document the growth and progress of my new little business “Toffeeapple Kidswear” and one thing I have found is that I am open to distractions. This has to stop. So today I have tried to do my homework for the St George Business Mentoring seminars I am attending. I am to work out my profit & loss, break even point, equity and working capital and complete a budget and cashflow for the next 90 days. And…well…am distracted. So in order to put the distraction into productive use I will prepare afternoon tea for the older kiddies before they get home from school. Apple pikelets today. I always hope they leave some but there is never any left! They are yummy with butter, jam, golden syrup or just on their own. The recipe is from www.taste.com.au. 1. Combine flour and sugar in a bowl. Make a well in the centre. Whisk egg and buttermilk together in a jug. Add egg mixture to flour mixture. Whisk until smooth. Stir in puree. 2. Heat a large frying pan over medium heat. Brush base with butter. Using tablespoons of batter at a time, cook in batches for 2 to 3 minutes or until small bubbles start to form on the surface of pikelets. Carefully turn over. Cook for 1 to 2 minutes, or until cooked through. Transfer to a wire rack to cool. Store in an airtight container.